So, Intrusion 2.0 has been out for a little more than a week now and we’re happy to see the pew-pew it generates on the beta islands. Like every complex system it’s not perfect, so we’re performing small modifications based on your feedback over the coming weeks. We also intend to give both attackers and defenders a few additional strategic tools and features - more on this in a separate blog post soon. Meanwhile, we’re working on the foundations of the player-built structures system, but we don’t want to leave you without new features and content for the rest of the year, so let’s have a look what we have in store for you in December. I know most of you are waiting for this, so I won’t tease you any longer. 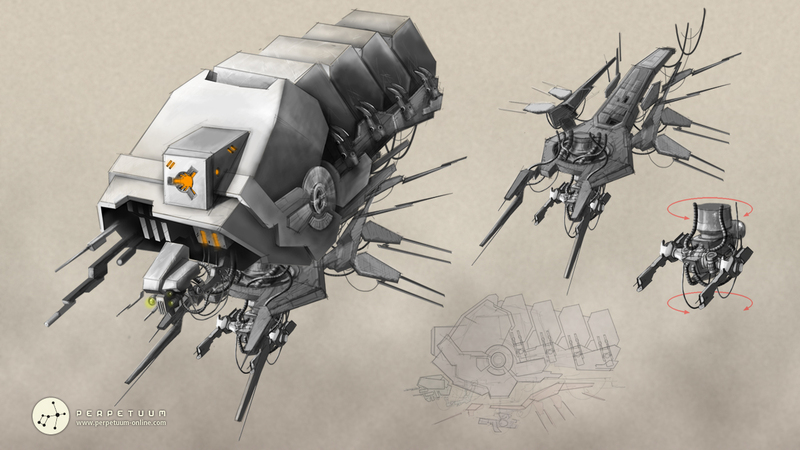 As announced in our last newsletter, a new freighter-type robot is about to make its entry into the world of Nia. Its name is Scarab, and it’s the first member of a new robot class we call gliders. The common feature of gliders is that they are hovering above the ground, which means they have excellent slope capabilities, and resistance against demobilization. They are also relatively big, which in turn means they make excellent targets too... We have plans for heavy and light glider classes, both in combat and industrial roles as well. The Scarab specifically is a heavy industrial glider, designed to transport huge amounts of cargo, a whopping 720 units. The bad news is that in order to keep it levitating, it has to have a pretty thin framework and light armoring, so it will be quite vulnerable. It does have 2 universal chassis slots that you can fill with medium weapons too, but heavy escorts are recommended. For support modules you’ll have 4 head slots and 1 leg slot to play with. As for required extensions, you will need some higher levels in Advanced robot control and Industrial robot control, as well as the new Glider control extension, specific to the new class. While we plan to have an Mk2 version of it, like for all robots in the game, that one will be only introduced a bit later. Have you ever wanted to do a suitable assignment but got turned off by the reward bullets that you don’t use anyway? I know I did. At first we wanted to give you an option to select your reward items before you accept the assignment, but that felt kinda limiting as well. So we decided to give you complete freedom by adding some universal faction tokens as assignment rewards, which you can exchange for things you really need. The place where you can do the exchange will be a new base facility called Syndicate Supplies (formerly known as EC-shop). At the start it will offer the well-known advanced ammo types (which have become a bit of a rarity by now) for assignment tokens, but later on we will also include many more items purchasable for Energy Credits (yeah it’s coming a long way), or a combination of currencies. Just to be absolutely clear, this is not a microtransaction store, it uses new ingame currencies which you can gather by various activities. You saw what we did to the Arkhe, now our animators are close to wrapping up the next bigger package. 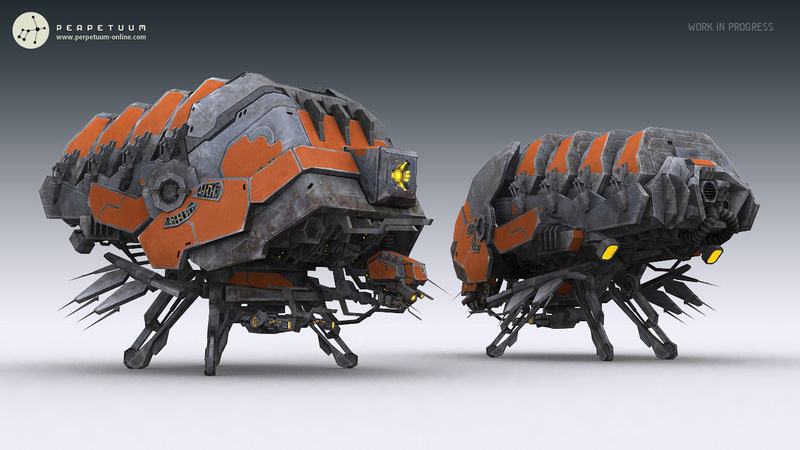 The 3 light combat robots and the 3 light EW-robots will get the same treatment soon, and will be sporting much better looking walking and running animations. During the past months we have replaced all level 1-2-3 assignments with better and more interesting ones, but before we move on to level 4 and up, we have to take a step back and have a look at the start of the game. While the general feedback on the 10-part tutorial assignment line has been mostly positive, it is starting to get a bit outdated. 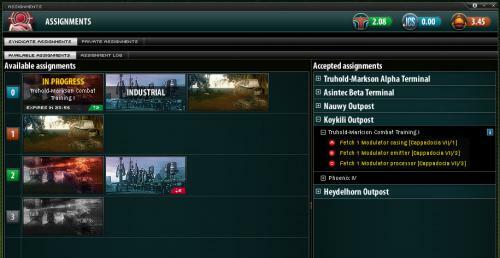 The plan is to split it into two branches, one combat and one industrial-oriented, and include some newly introduced objectives, like artifact scanning, distress beacons and manufacturing. Players will be able to complete both branches, one with a combat light bot reward at the end, and the other with an industrial one. Our intention is to give everyone the opportunity to decide which path they want to take (it can be both too! ), and to show them all the activities they can do in the game. 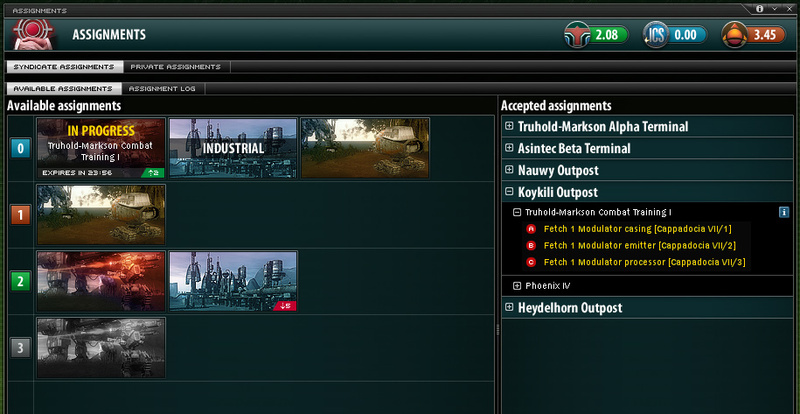 We’re also revamping the level 0 assignments; we know they are a pretty bad grind between the end of the tutorial and the start of the level 1 assignments. They will also make sure that you have some more interesting objectives to do than killing drones over and over, if you accidentally lose your first tutorial light bot and have only an Arkhe available. Christmas is coming too, so we plan to have some smaller PvE events, and we're starting to pick up some strange artifact signals again, too. Nothing fancy though, we know most of you have better things to do at that time than sitting in front of a computer. Or do you? Anyways, questions and comments are more than welcome, as always!